"Today’s young people are living in an exciting time, with an increasingly diverse and mobile society, new technologies, and expanding opportunities. To help ensure that they are prepared to become the next generation of parents, workers, leaders, and citizen, every student needs support, guidance, and opportunities during adolescence, a time of rapid growth and change. Adolescents face unique and diverse challenges, both personally and developmentally, that impact academic achievement." ​Dr. Lewis is currently the Director of Guidance and Counseling at Rothschild Leadership Academy. She works with grades 6-8 and is not only available to students, but to parents who may need her assistance. To contact her please call 706-569-3709 or email her at Lewis.Stephany.R@muscogee.k12.ga.us. ​Ms. Thomas works with grades 6-8 and is available not only to students, but to parents who may also need her assistance. To contact her please call 706-569-3709 or email her at Thomas.Carla.Y@muscogee.k12.ga.us. 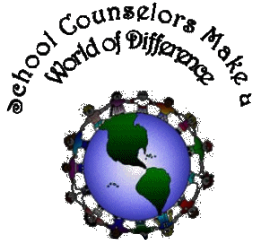 Mission Statement: The mission of the Rothschild Leadership Academy guidance/counseling department is to provide a comprehensive, developmental, counseling program that addresses the academic, career, and personal/social development of all students in grades 6-8. Confidentiality Guidelines: Student confidentiality is important to us. This means that whatever is discussed in the counselor's office will remain in the counselor's office with the following exceptions: 1.) harm to self or others 2.) abuse or neglect 3.) court or other legal proceedings. If there is ever a reason to reveal information that has been shared in the counselor's office, we will let you know in advance and handle the situation in a way that is respectful of you and your feelings.